When a researcher completes a programme of work, he or she presumably submits the ensuing paper to a journal of high repute with the highest professional standards. Such standards are monitored by Elsevier via the Author Feedback Program, a continuous research program monitoring the performance of Elsevier's primary journals. It allows close monitoring of author opinion and thus journal performance. Authors are invited to rate a number of statements concerning their publishing experience. 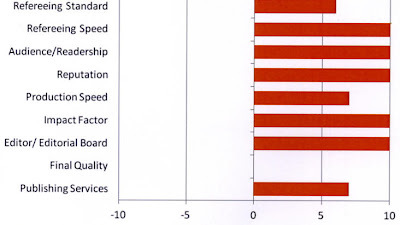 These statements are grouped into areas, including reputation, peer review, production speed, publishing services, the editorial board and impact factor. Elsevier also asks the author to rate another journal in which they have recently published so that the score for each area for Minerals Engineering can be compared against the average of all other titles. The "average", which is a convenient benchmark, is zero on the chart shown on the left. Scores above zero mean, for that area, that Minerals Engineering is rated higher than average (scores above 5 place Minerals Engineering in the top third of all journals). Conversely, factor scores below zero, mean that Minerals Engineering would be rated lower than average (scores below -5 would place Minerals Engineering in the bottom third of journals). The nine factor scores are weighted according to their importance, and used to calculate a composite journal score. This score is then compared to the journal scores of other journals in which the author also recently published, the maximum potential journal score being 100, but in general, scores vary between 50 and 90. Minerals Engineering scores 86.4 against an average of 75.7 with the percentage of authors who agree that they are very satisfied with the journal being 93%. 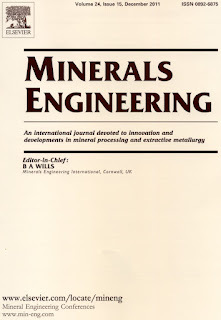 The feedback from Minerals Engineering authors is highly satisfying and I would like to thank my journal team, Dean Eastbury, Executive Publishing Manager, the Editorial Board, and over 400 reviewers who have given up their time to contribute to the peer-review process. As has been discussed previously, conscientious peer-review is essential in maintaining high standards and in 2011 a record 586 articles were submitted to the journal, of which 37% were published after review. 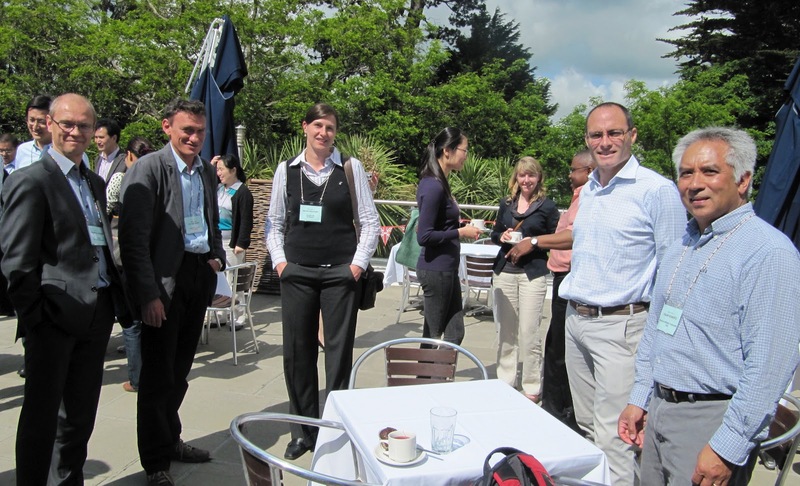 Biohydrometallurgy '12 (Biohydromet '12), sponsored by FLSmidth and ProMine, with media sponsorship by International Mining was held at the St. Michael's Hotel, Falmouth, UK from June 18-20. The following are my personal views on the conference, which I hope will be supplemented by the views of all who attended. This morning I welcomed a record number of delegates to this, the 6th MEI symposium on biohydrometallurgy. The next few days should prove ideal for networking, as the 81 delegates represent no less than 22 countries- Australia, Belgium, Brazil, Canada, China, DR Congo, Finland, France, Germany, Japan, Kazakhstan, Malaysia, Netherlands, Norway, Rep. Korea, Russia, South Africa, Sweden, Switzerland, Turkey, UK and USA. After a brief introduction to Cornwall and the UK, I handed over to Dr. Chris Bryan, of Curtin University, Australia, and one of the three MEI consultants to this conference. Chris spoke about the history of biohydrometallurgy, from the ideology of the early 80's, where it was going to revolutionise mining and replace pyrometallurgy completely, to the abrupt dose of reality in Corale Brierley's IBS 2005 keynote address "we need to wake up to the fact that this is, and only ever will be, a niche technology", and the need for pragmatism. Biohydrometallurgy has a poor reputation in certain circles, as a technology that is too unpredictable, but Chris highlighted that it is often used as an avenue of last resort on ores that are untreatable with other methods. It is a complex technology and there is a need for an all-encompassing approach, with fundamental understanding of microbiology, engineering, mineralogy, hydrometallurgy etc. Chris concluded by noting that Biohydromet '12 has a great mix of industry and academia, from diverse geographical and technology backgrounds, and it is essential that this conference series encourages collaboration, in terms of identifying gaps in knowledge and expertise, and in better communication between industry and academia. The first of the three keynote lectures was presented by Marja Riekkola-Vanhanen, of Talvivaara Nickel Mining Co, Finland. The Talvivaara Sotkamo Mine in NE Finland is the most recent commercial application of bioleaching, and the first in Europe. The ore is low grade black schist, and contains pentlandite, pyrrhotite, chalcopyrite, sphalerite and pyrite as the main sulfide minerals. The ore and the possible utilization of the deposits have been extensively studied for over 20 years. Bioheapleaching technology was chosen for the extraction of nickel from the ore based on its favorable capital and operational costs and the good performance data obtained in a large on-site pilot trial. Mining was started in Sotkamo in April 2008 and building of the industrial scale bioheap in August 2008.The first shipment of nickel sulfide product was delivered to the customer in February 2009. MEI Consultant Dr. Patrick d'Hugues, of BRGM, France, then presented a short overview of the of FP7 European project, operated by conference sponsor ProMine.The EU is currently heavily dependent on mineral and metal imports and the trade balance in the field is negative. For some strategic metals, the EU is totally dependent on import. The efficiency of the overall production chain of minerals and metals in Europe should be enhanced by putting higher quality and added value products on the market. This will be addressed by the four year long project ProMine, which started in May 2009. The ProMine consortium, led by the Geological Survey of Finland (GTK), includes 27 partners from 11 EU member states. Industry partners in the ProMine consortium produce more than 70% of metals in the EU, so implementation of results from the project will translate into direct and significant economic benefits. Dr. Wolfgang Baum, representing our other major conference sponsor, FLSmidth, of USA then discussed how bio leach operations are emerging as the most economic and metallurgically viable partner for concentrators, or alternatives for increasingly lower grade and complex ores. Wolfgang's presentation provided a condensed overview of bio leach opportunities in concert with future concentrator operations and/or as stand-alone alternatives using site and ore-specific designed heaps and hybrid heap-stockpile operations which may incorporate HPGR technology for enhanced bacterial access. After an extended coffee break to give everyone the chance to get to know each other, four papers on bioleaching included the first three of the nine presentations which will be made from workers from China, now a major player in biohydrometallurgy research. 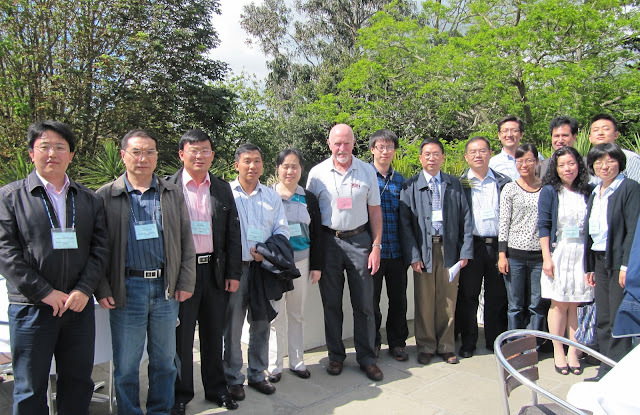 We are pleased to see 13 delegates from China, 8 of whom are from the Central South University in Changsha. After a short afternoon session, with papers from Australia, Brazil and China we unwound with a 5 mile walk on the coastal path (see also 19th June), passing Henry VIII's ancient castle, and the busy Falmouth Docks, into Falmouth town, and a welcome beer in the old Chain Locker pub. The day started with a keynote lecture on high temperature bioleaching from Dr. Paul Norris of the University of Warwick, UK. It has long been recognized that thermophilic, iron- and sulfur-oxidizing microorganisms can efficiently oxidize mineral sulfides at 65-85°C. They may be active in some ore leaching heaps or dumps at elevated temperatures but they have not yet found premeditated application in commercial mineral processing at these temperatures. One of the questions in potential process development is the choice of microbial culture. The first thermophiles with potential for mineral sulfide processing at temperatures above 65°C were revealed during the mid 1960s in the USA, and later renamed as Acidianus species. The first demonstrations of rapid processing of copper concentrates were made with Sulfolobus metallicus at about 70°C in the early 1980s and more efficient leaching at higher temperature (about 80°C) was demonstrated in the early 1990s at Warwick University with species which remain un-named. These un-named strains were tested in continuous leaching of copper concentrates in the mid to late 1990s and used at pilot scale in the HIOX process at BRGM (France) and in the BioCOPTM Process at BHP Billiton (South Africa), the latter process reaching a commercial scale demonstration with Alliance Copper Ltd. in Chile in 2003. Meanwhile, concentrate processing with thermophiles had also been developed by Mintek (South Africa) and continued with pilot scale work through the EU BioMinE project up to 2008 using cultures dominated by Acidianus species at 70°C. With this background availability of a variety of thermophiles, Dr. Norris considered the characteristics of several different cultures in two contexts: the past developments with bioreactors; and ore heap leaching, where high temperature would be desirable (for chalcopyrite dissolution) or is inevitable (because of the rate of exothermic mineral sulfide oxidation, such as with the Talvivaara operation in Finland). Following on from Paul's lecture there was a full day of presentations on the role of various microorganisms in bioleaching, including heap leaching operations, as well as in the recovery of metals from mine waters and acid mine drainage. These contributions were from workers in The Netherlands, South Africa, Australia, USA, Sweden, UK, Brazil, Japan, China and Turkey, this geographical diversity bringing different perspectives and viewpoints to the active discussions. After welcome afternoon coffee, we set off for the china clay mining town of St. Austell, and for a barbecue dinner in the Mediterranean Biome of the world famous Eden Project (see also June 20th). The final day began with the 3rd keynote lecture, by Prof. Sue Harrison of the University of Cape Town, who discussed microbial attachment, colonisation and activity as key steps in establishing the desired microbial community for attaining a well functioned heap. 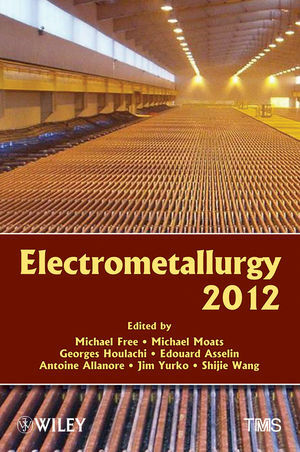 Following this was an eclectic range of innovative papers dealing with bioleaching operations in the Democratic Republic of Congo and Kazakhstan, to the use of biohydrometallurgy in the recovery of valuable metals from WEEE, and from spent automotive catalyst leachates in order to produce new catalysts. A paper from Korea evaluated the potential of cyanide producing microorganisms to recover gold from low grade ore, and a Brazilian presentation dealt with the flotation of the apatite-quartz system using microorganisms as flotation reagents. Cutting edge technology which will develop into very effective ways of analysing bioleaching operations were introduced in work from CSIRO in Australia and from collaborative efforts between the University of Cambridge, the University of Western Australia and the University of Cape Town. In the latter paper the use of Magnetic Resonance Imaging was shown to be effective in acquiring images non-evasively of an irrigated ore bed, in order to better understand the phase distribution of heaps on the pore scale. The CSIRO paper discussed the use of X-ray absorption near edge structure (XANES), a synchroton based technique that is sensitive to both crystal and non crystal structures and is ideal for the characterisation of species shift of a particular element in a complex system. An innovative paper from the University of British Columbia, Canada, discussed alternative approaches for concentrating metallic minerals of economic interest without the direct use of bacteria. Bacteriophage are bacterial viruses that contain protein coats which surround the genetic material (DNA). The coat proteins can be genetically engineered to contain many different sequences of amino acids that can be selected for their ability to bind to organic or inorganic substrates. Using this process of phage display, binding sequences for chalcopyrite and sphalerite were identified and it was shown that the presence of a biofilm of phage bound to target mineral particles alters the electrical and surface properties of the minerals in ways that could allow separation from other particles to form a concentrate. The group is exploring different ways that phage display technology can be applied to mineral processing. Current challenges include the binding affinities of phage to mineral particles and the survival of phage in the hostile ore slurry environment. 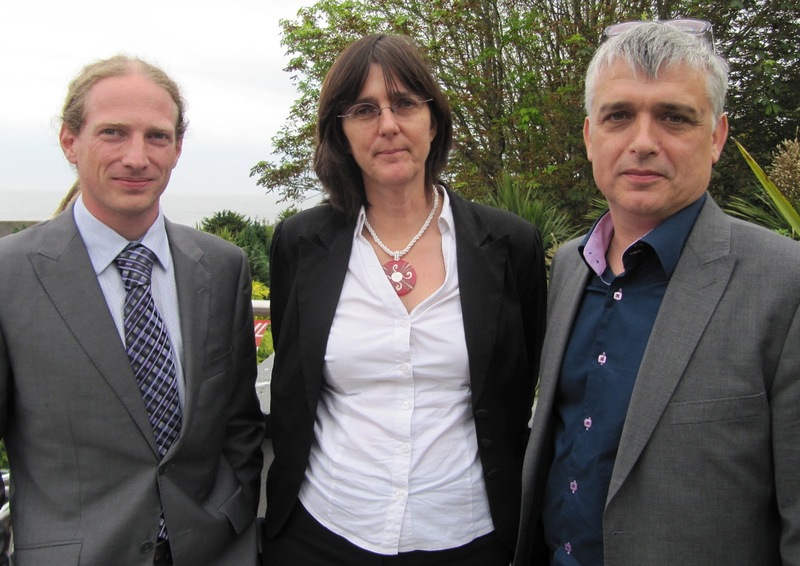 After an excellent 3 days, MEI consultants Patrick d'Hugues, Sue Harrison and Chris Bryan summarised the conference. It is evident that bioheap leaching is one of the main targets for R&D and industrial applications, but tank leaching still has an important role. There is great potential for the use of biotechnology in the processing of secondary resources such as mine wastes and waste electronic equipment, and emphasis should be given to co-processing of primary and secondary resources, as mining and recycling should not be seen as competitors. Multi-disciplinary collaboration between processors, mineralogists, chemists and chemical engineers is becoming more prevalent, as is multi-national interaction. 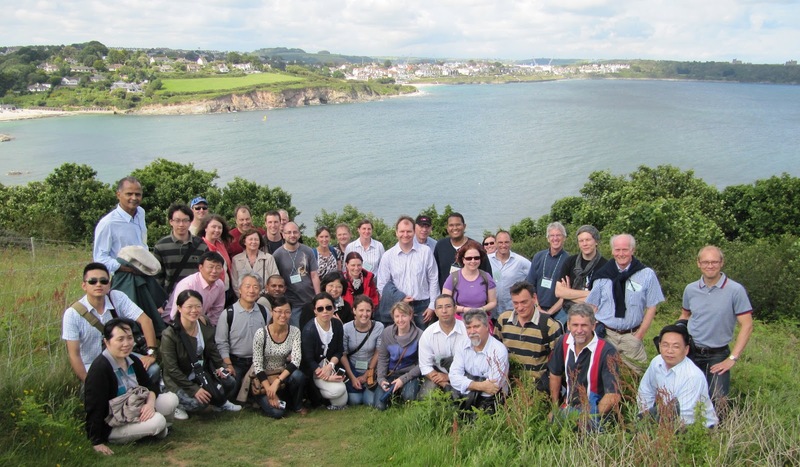 In this respect it was good to see so many new players in this field, exemplified by the many Chinese researchers who made the effort to travel to Falmouth. It is also good to see the increased interest in this technology from the major mining companies and metal producers. MEI's Amanda then closed the conference and invited delegates to attend the 7th symposium, Biohydromet '14, which will be held in Falmouth again from June 9-11, 2014, and will be held back to back with Sustainability through Resource Conservation and Recycling (SRCR '14). Personally I have found this to have been a very special conference, as it has come at a time when rapid advances in our understanding of the science of microorganisms has in effect awoken biohydrometallurgy from its long slumber, and it now looks as though it might start to realise its true potential and provide real benefits to the minerals industry. This is merely my opinion as an objective non-biotechnologist, so I would very much appreciate comments from the specialists who attended the conference, and for those who didn't I would also like your views on how you see the future of mineral bioprocessing. 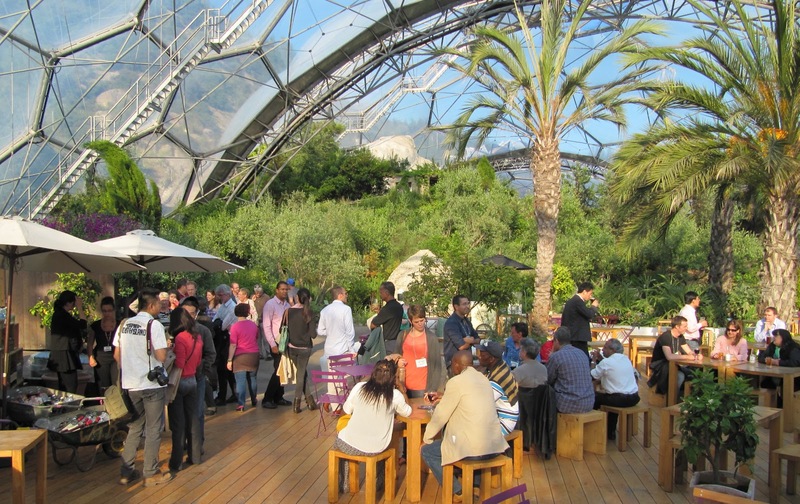 We had exclusive use of the Eden Project's impressive Rainforest and Mediterranean biomes last night for the conference barbecue. More photos and a full report on the conference will be on tomorrow's blog. 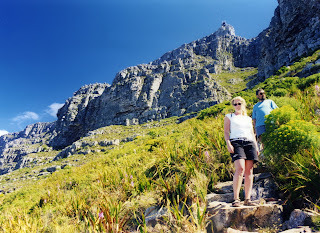 After a day of excellent technical presentations, I led a coastal path walk, attended by around half of the delegates. This was a great opportunity to get to know people and I was surprised to hear that many of the new faces, some from companies that I had not heard of before, had been directed to the conference via Google! 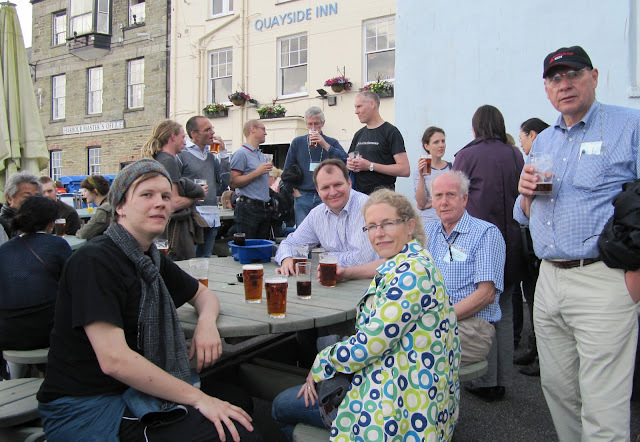 After a 5.2 mile walk we ended up at the Chain Locker pub in old Falmouth, for welcome beers. 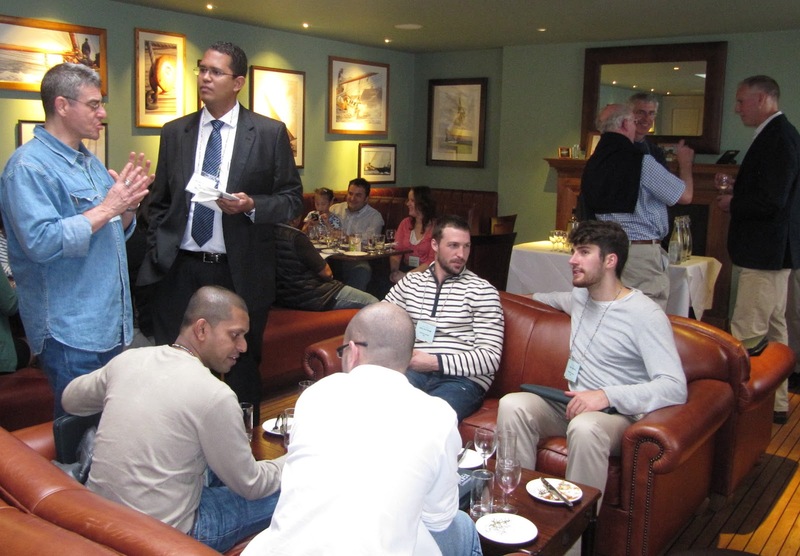 Biohydromet ’12 got off to a good start this evening with the welcome wine reception, which was attended by around half of the 80 delegates registered for the conference, which starts tomorrow. 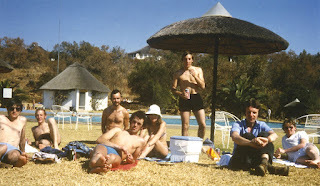 Dave's summer vacation work in 1978 was spent on one of Anglo's coal plants, and I travelled out with him to supervise his project, and those of other students from UK (Dave is the one standing under the umbrella). After graduating Dave stayed on at CSM and was awarded his PhD in 1983. He then left for South Africa to pursue a highly successful career with Gencor, later BHP Billiton, where he rose to the position of Head of Research. He is now living in Cornwall, as an independent biohydrometallurgy consultant, most of his work being associated with BHP Billiton. 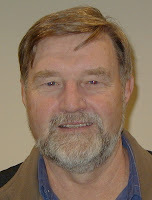 Charlie Northfield graduated in 1980 and is now with Selinsing Gold Mine in Malaysia. Charlie has travelled extensively since graduating, and has had an adventurous life. In 2008 he made headline news after his escape from Gambia, where he was being held under trumped-up charges. In the photo below I am pictured with Dave (left) and Charlie (right) and another ex-CSM student, and local lad, Nick Wilshaw (2nd right) who called in to see a few old faces. 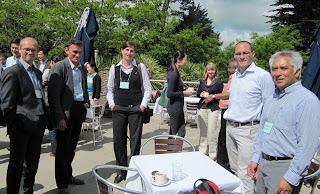 That's the great value of conferences- meeting new people, and catching up with old friends. Is biotechnology set to revolutionise the mining industry? A collaborative paper from the University of Adelaide, CSIRO and the South Australian Museum suggests that advances in biotechnology will revolutionise the gold mining industry, leading to greener, more efficient extraction of gold. Currently the role of biological agents in the mining industry is limited to the use of microorganisms in bioleaching and bioremediation. However, there are a number of ways in which biotechnology will be used in the near future to aid the mining industry, and some of these will be discussed at Biohydromet '12, which starts in 9 days time. According to the paper, development of these innovative biotechnologies has been enabled by advances in the understanding of the role that microorganisms play in the solubilisation, dispersion and precipitation of gold, brought upon by the rapid development of molecular genetic techniques over the past decade. An understanding of microbial species in soils overlying mineralisation can be utilised to develop bioindicator systems that assist with gold exploration. An in-depth knowledge of how microorganisms interact with gold complexes is being used to develop biosensors, further supporting exploration. Processing technologies are being improved based upon advances in our understanding of the interactions between microorganisms, cyanide and gold. For instance, cyanide-producing microorganisms are being investigated for use in in situ leaching of gold. In turn, the use of cyanide-utilising microorganisms for the degradation of cyanide is being explored. So is biotechnology really set now to come alive and revolutionise the processing of gold, and of other ores? 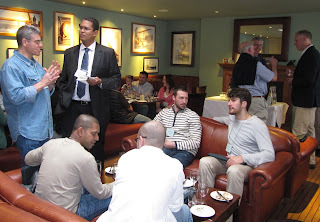 MEI is holding 3 consecutive conferences at Cape Town’s Vineyard Hotel in November. Process Mineralogy ’12 will run from November 7th-9th and current sponsors are FEI, Anglo American Technical Solutions, FLSmidth and Bruker AXS. Keynote lectures will be given by Dr. Wolfgang Baum, of FLSmidth, USA and Prof. Jan Miller, of the University of Utah, USA. Precious Metals ’12, from November 12th-13th is currently sponsored by Implats, Newmont and Barrick Gold and will deal with all aspects of the processing of gold, silver and PGM ores, such as flotation, bio and hydrometallurgy and the associated environmental issues. Keynote lectures will be given by Dr. Rob Dunne, of Newmont Mining Corp, USA and Keith Liddell, of Platmin Ltd, South Africa. Immediately following Precious Metals ’12, Nickel Processing ’12 will run from November 14th-15th, sponsored by Nalco Africa. 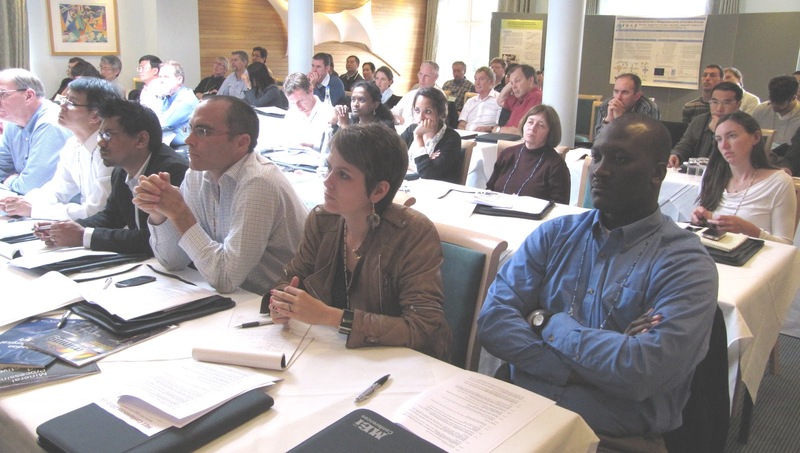 The aim of this conference is to bring together researchers and plant operators, to discuss all aspects of the physical and chemical processing of nickel ores, copper-nickel ores and laterites, and nickel concentrates, including froth flotation and other beneficiation methods, bio and hydrometallurgy, pyrometallurgy and environmental aspects of nickel processing and smelting. If you would like to present papers at any of these conferences, short abstracts should be submitted no later than the end of this month. 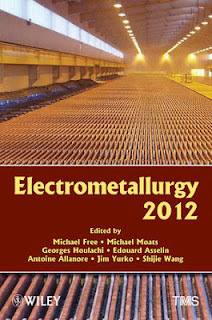 Papers from all three conferences will be reviewed for possible publication in special issues of Minerals Engineering. 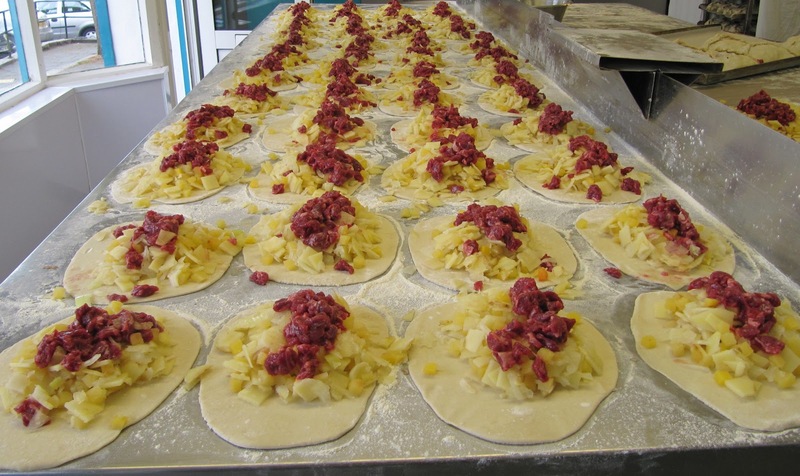 In fact the whole of Cornwall has been rejoicing this week with the headline news that the Government has performed a U-turn on chancellor George Osborne's tax on food served fresh from the oven 'above ambient temperature'. What this means to delegates arriving in Falmouth for Biohydromet '12 is that there will be no 20% VAT imposed on their Cornish pasties!! If that wasn't sufficient cause for celebrations, today Falmouth came alive for the central weekend of the Queen's Diamond Jubilee. She became Elizabeth II on 6th February 1952, and was crowned on June 2nd 1953. How different it was 59 years ago. 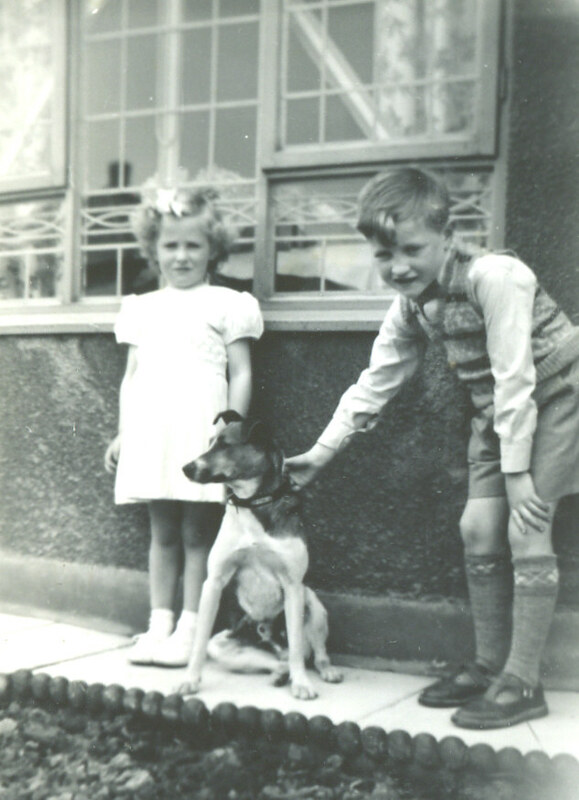 On June 2nd 1953 I was seven years old. I watched the flickering images of the Coronation with my family in our council house just outside Manchester. We were the only family in the street with a TV, bought especially for this great event. 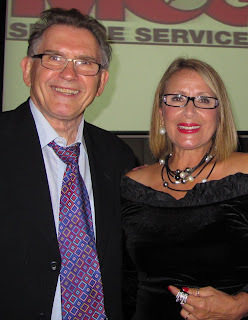 It's also hard to believe that, unbeknown to me, Barbara was celebrating the day only a mile away. We met almost 9 years later.